March 15, 2017 - A new survey has found Adélie penguin numbers in East Antarctica to be nearly six million, double previous estimates. Past surveys have been based only on breeding pairs, so the increase could be attributed at least partly to counting non-breeding penguins, which tend to be out foraging at sea. While the news of the large Adélie population may be cause for celebration, scientists warn that shrinking ice and warming waters could threaten penguin habitat and prey availability in the long term. Read more about the latest survey and why it may be cause for both celebration and concern. 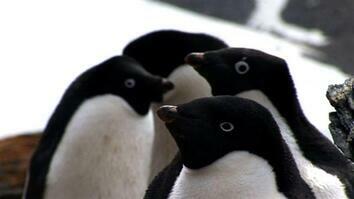 Learn more about Adélie penguins. Adelie penguin numbers in East Antartica have marched upward. 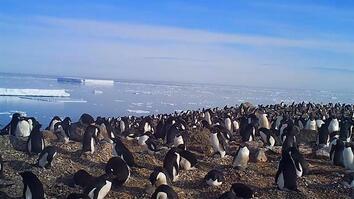 Nearly six million penguins were estimated in a new study. That’s more than double a previous counts. Though, the increase could be partly due to improved counting methods. And not all the news is happy for these sure-footed ice dwellers. A warming climate may mean reduced glacial habitat and prey in the future. 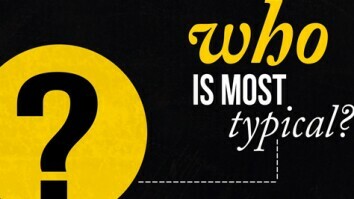 Seven Billion: Are You Typical?